Our electronic lockers allow access to the locker using non key methods such as numerical keypad, RFID card, bar code, or biometric access. Our electronic lockers allow access to the locker using non key methods such as numerical keypad, RFID card, bar code, or biometric access. 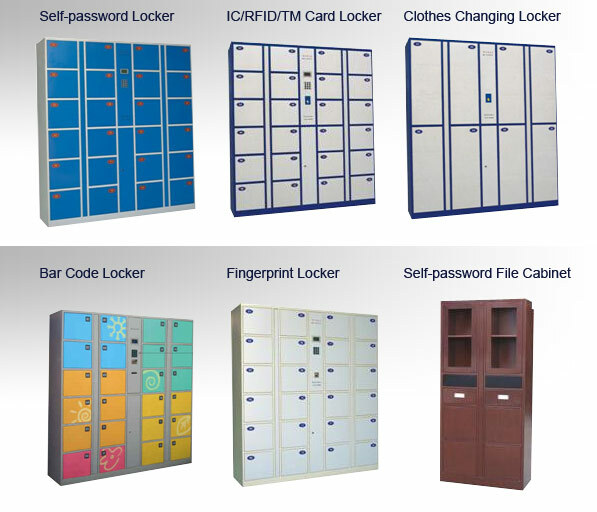 Our lockers are available with free use as well as money options. We can customize the locker to your requirement. We have a design team to help design and determine exactly what you need. Court, Public Security Bureau, Police Station, Jail and other enforcement organization of government. Auto-lock when there is illegal operation of locker, ensuring the safety of the locker of abnormal operation. High security, network control and low maintenance. Battery back-up 6 hours minimum for power failure. Special function are made to order. Electrostatically applied epoxy powder with the surface.